This wine only represents a very small batch originating from a small vineyard located on the village of Gueberschwihr, very close to the Grand Cru Goldert. (Before, it used to blend with the youngest vines from the Hengst, now pulled out). With a similar east facing gentle slope and later ripening climate, this wine is often harvested late. 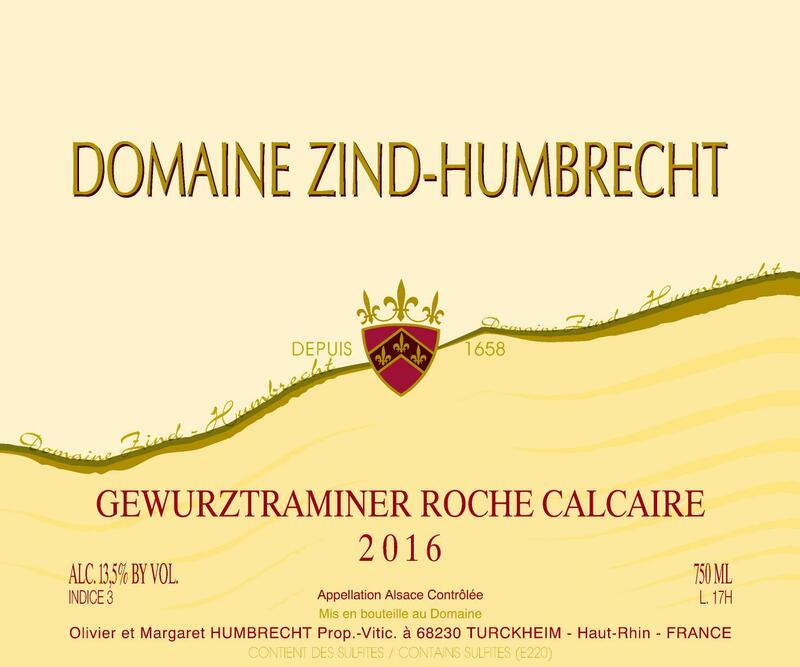 The slightly richer soil made of deep marl and clay deposits often produces a spicy elegant type of Gewurztraminer in the medium sweet range. The grapes were very healthy in 2016 as it wasn’t a vintage for botrytis. However, the natural richness of the Gewurztraminer explains the presence of residual sweetness. 2/2018: bright yellow colour. The nose exhibits classic light spicy aromas (pepper, dry herbs) and an elegant, not powerful, floral expression. Only limestone based soils are capable to produce a more reserved/shy type of Gewurztraminer. The tannic structure is nicely balanced by a medium sweetness, and also a nice acidity, offering a classic style of Gewurztraminer. Not sweet enough for desserts, it will go very well with white meat, duck, cheese….